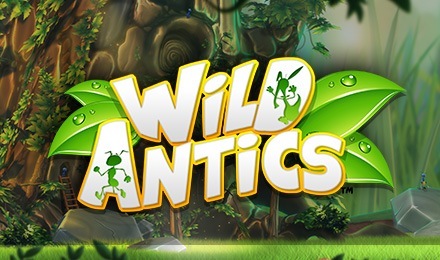 Enter the world of little bugs on Wild ANTics Slots! Benefit of not less than four Random Bonus Features and four amazing Free Spins Features! Wild ANTics slots is packed with bonus features. The 5 reels and 20 payline slot offers game features like scatters, roaming wilds, multiplying wilds, expanding wilds, and colossal wilds. The symbols that land on the reels are high paying symbols. For instance, the wild symbol is the ant sunflower symbol that replaces all symbols to make a winning combination. There are four bonus features; the Worker Ant, Soldier Ant, Colonel Ant and Queen Ant that award different numbers of free spins. After the bonus feature, the Jet Pack Antics are randomly awarded.